This week’s Nintendo Direct has shared more details about the delightfully cuddly Yoshi’s Woolly World. Yoshi’s lovingly crafted Wii U exclusive platformer will pose the usual challenges and hide hidden secrets, but will also cater for players of different skill levels. That’s apparent with providing a more challenging Classic Mode, whereas players can switch to an easier Mellow Mode at any time that will let you play as Winged Yoshi. 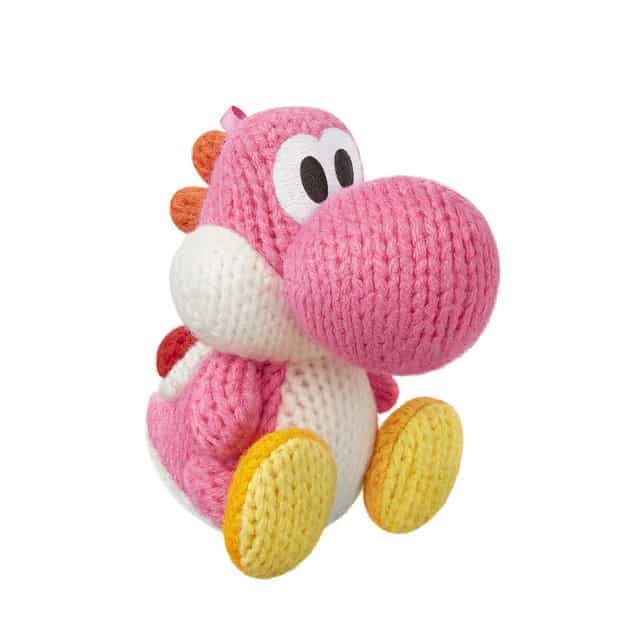 Nintendo will also release three ridiculously adorable Yarn Yoshi amiibo. These figures are made out of a knitted material, and will be available in three colours – green, pink and light blue. amiibo support will allow players to control Double Yoshi, once the amiibo’s scanned with the Wii U GamePad. From launch in Europe, Yoshi’s Woolly World will be available standalone or in a bundle that includes a Green Yarn Yoshi amiibo. Yoshi’s Woolly World will release exclusively for Wii U in Europe on June 26th, and in North America later this fall.